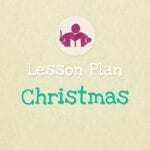 This week I’m especially excited to publish my Christmas lesson plan, it is such a highlight of the year, and is packed with so many fun activities that there’s plenty to keep little ones occupied and making music right through the Christmas season. This lesson is suitable for children of 2 – 7 years old and it is 13 pages long with 5 printables included. 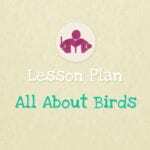 If you’re looking for more themes, check out the rest of the lesson plans here. You can explore more music lesson plan themes (and the ones i’m planning on publishing in the near future) here, or take a look at all of our musical resources over in our store. Hi Sara, are these materials suitable to use in a winter music camp? It will be a musical storytelling session, so I am planning to purchase this lesson plan or do you have any suggestion on which should I purchase? I need some materials that can let the students sing, play somethings cool on music instruments, if possible with a story as well. Thank you so much on reading my comments. 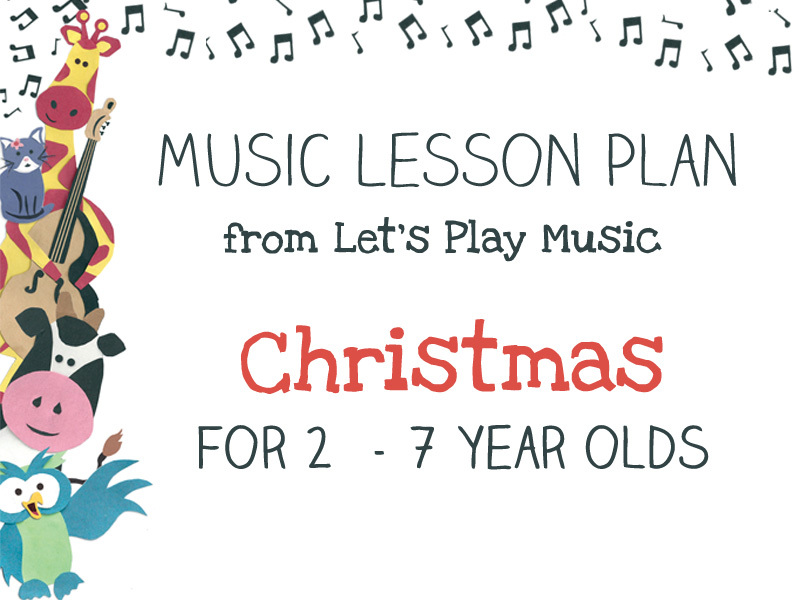 The Christmas lesson plan includes a variety of musical activities as listed below. I think you would definitely be able to use some of them for your christmas musical story telling session – they are perfect for 3-6yr olds, I’m sure they’ll love it! Nativity puppet song – very simple song with puppets to tell the christmas story. Tinsel/fairy dancing – musical movement. Robin redbreast – short song about a robin. I found your site because my son in a percussionist who is just learning how to play the bell kit. He wants to play his new 28 key bell kit for his class Christmas talent show, and I was looking around the web to find some easy Christmas songs for the bells. I like that your site has some videos on the bells. I was wondering if your e book would be helpful or not for a beginner learning to play the bells. My son is a percussionist and he plays the bell kit. I found your site by trying to find some easy Christmas music for him to play in his class talent show. I like that you have videos using the bells. Will your e book be useful to a beginner who is learning to play the bell kit as well? Hello – the link for the Christmas lesson doesn’t seem to be working. Wow I can’t believe it’s nearly Christmas. Can’t wait for Santa Claus and carols.